In this comprehensive survey of Reformed Christianity, Dr. Beeke and eight fellow contributors offer twentyeight chapters that trace the history of Calvinism; explore its key doctrinal tenets, such as the so-called five points of Calvinism and the solas of the Protestant Reformation; reveal how Calvinists have sought to live in devotion to God; and survey Calvinism’s influence in the church and in the world at large. 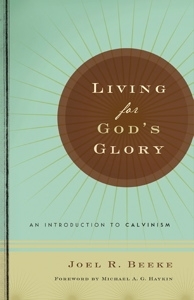 In the end, the book asserts that the overriding goal of Calvinism is the glory of God. Saturated with Scripture citations and sprinkled with quotations from wise giants of church history, this book presents Calvinism in a winsome and wondrous fashion.